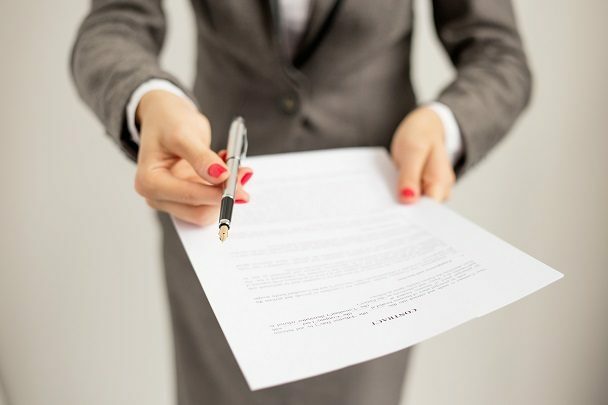 Have you ever asked yourself “should I accept a counter offer?” While most career advice professionals will adamantly advise you against it, the honest truth is, it depends. The sad fate of those that do is often referenced in recruiting circles. 90% of them leave or are let go from the company within a year. I’m not sure where the actual source of this widely referenced stat originates, but here’s the thinking behind it. The initial reasons that prompted the candidate to look for another opportunity didn’t change, only the money did. If, “should I accept a counter offer?” is on your mind, two things need to happen. You need to be very honest with yourself about what you want and need to be happy. You also need to trust your gut. For one reason or another, you were tempted to explore other opportunities. Whether you initiated the process or were convinced by a recruiter to keep your options open, the end result is the same. You have to figure out if you’re going to accept a counter offer from your current employer. Here’s what you need to understand. If the only reason you’re contemplating leaving is money, then you could potentially stay if offered the money you want. Money, however, is rarely the main motivating factor. What excites you about the new opportunity enough for you to have considered it? Is it a new set of responsibilities? Will you have more room for growth and the opportunity to learn new skills? Assuming those are the reasons and that those opportunities are not available to you in your present position, it’s best to decline the counter. Move forward and don’t look back. Taking a counter offer to stay in the same role you currently have is putting a band aid on the situation. It will protect you from any professional dissatisfaction you may have, but only for a while. From the employer’s perspective, they may truly value you and not want to lose you, but if nothing other than your salary changes, then so what? Is it really in your best interest to stay? After letting your boss know of your new offer, you may be met with surprise and an earnest desire to have an open conversation. It’s definitely advisable to engage in exploration. Your boss may have no idea you’re unhappy or that you feel underutilized. As a result s/he may try to shift your role to accommodate your professional desires. We all make mistakes. Maybe your boss made the mistake of not being as in tune with your needs for professional and personal development as s/he should have been. Perhaps you made the mistake of avoiding having a difficult conversation with your boss regarding your professional frustration. If you feel the counter offer is based in a genuine desire to retain you as a valued member of the organization while also meeting your career goals, then it’s worth seriously considering. Counter offers allow employers to avoid replacing you. It’s not a bad strategy for them if you stay. Why? Because finding talent isn’t easy. The interview process takes time. The longer your position remains unfilled, the less productive your department is. It may take trying to replace you for them to realize how invaluable you really are. So if they come back after having conducted a search to fill your shoes only to come up short, this may be your chance to negotiate a very special deal for yourself. As with most things in life, it’s best to stay away from a philosophy of always and never. There is no doubt that counter offers come with some risk. But so does taking on a new role. You can’t take anything for granted. Sometimes you have to take a big risk to gain the big reward. You need to trust your gut. Go with what feels right. But it’s critical you evaluate the situation from all points of view and consider all possible outcomes. When it comes to answering, “Should I accept a counter offer?” the only one with the answer is you.